History’s greatest passenger ship disaster occurred on 30 January 1945. The Wilhelm Gustloff disaster likely claimed more lives than Titanic (over 1,500 dead), Lusitania (approximately 1,195 dead) and Lancastria (more than 4,000 dead) combined. 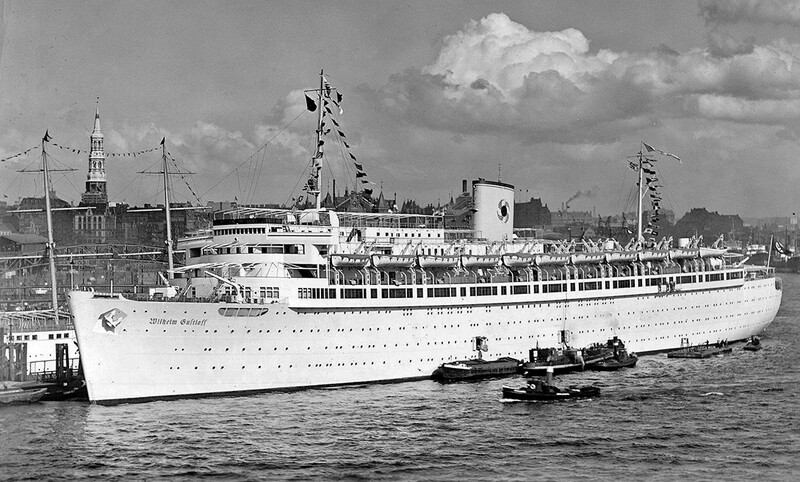 Built by the Nazis as a “Strength Through Joy” cruise ship, Wilhelm Gustloff was pressed into service during World War II first as a hospital ship and then as a floating barracks. While evacuating civilian refugees, German soldiers and U-boat personnel from Soviet troops advancing on the Baltic city of Gdynia (then known as Gotenhafen), Gustloff was torpedoed and sunk by a Russian submarine. The loss of life was tremendous. On a vessel designed to hold a maximum of 1,880 passengers and crew, 5,348 are known to have died. Given the fact that boarding was chaotic and record-keeping virtually non-existent, it is possible that up to 9,400 people may have perished in the disaster, making the sinking of Wilhelm Gustloff the worst single-ship loss of life in history. Survivors numbered just 903. 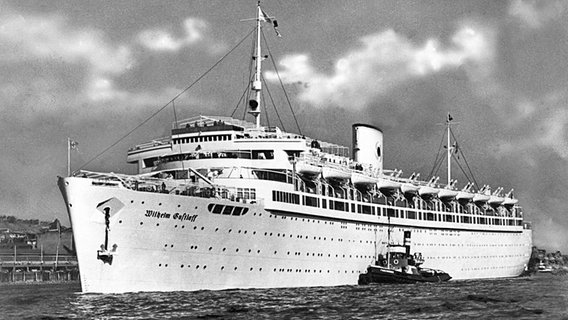 Wilhelm Gustloff was originally designated to be named Adolf Hitler. Gustloff’s February 1936 assassination in Switzerland provided a convenient opportunity to create a Nazi martyr. The ship sank on the 50th anniversary of Gustloff’s birth. The disaster remained largely unreported for months. Inside collapsing Nazi Germany, Hitler and his subordinates worked to suppress all types of bad news, and any report on the massive loss of life associated with the utter destruction of a ship that had once been a symbol of unity among the German Volk would certainly fit into that category. Outside Germany, news about the disaster was slow to leak out and, once known, had to compete with a variety of other appalling war news.